A new study entitled, “Fragile X Full Mutation Expansions are Inhibited by One or More AGG Interruptions in Premutation Carriers” and published in Genetics in Medicine reports AGG interruptions can limit Fragile X full mutation expansions. The study resulted from a collaboration between scientists at the New York Institute for Basic Research in Developmental Disabilities and Austin-based Asuragen Inc. The authors took advantage of the Fragile X technology pioneered by Asuragen Inc., which allowed the analysis of AGG repeats in Fmr1 gene. Expansion of a three nucleotide DNA segment, CGG, in the Fmr1 gene located in the X chromosome is associated with Fragile X syndrome. The extension of the AGG repeat is associated with the risk of developing the syndrome, with normal alleles (6–44 CGGs), permutation alleles (55–200 CGGs), and full mutated alleles (more than 200 CGGs). Thus, risk estimates for full mutation expansions are currently based on maternal repeat length alone. In the 1990s, a different DNA trinucleotide, AGG, was believed to influence alleles’ stability and parental risk for permutation transmission, which frequently expands to full mutation in the next generation. In this study, the authors proposed to better understand the impact of AGG interruptions on both repeat instability and transmission. The authors analyzed 705 families for transmission of maternal and paternal alleles with 45–90 repeat alleles. In total, 1,040 transmissions were examined. The authors found that a single AGC significantly impaired the risk of full mutation expansions, particularly in alleles <70 repeats; beyond 70 repeats, the presence of AGG interruptions is negligible, and alleles are very unstable; in cases of length exceeding 90 repeats, no effect was observed for AGG interruptions and all maternal alleles expand to full mutation. In case of alleles with <70 repeats, the analysis suggests that with two AGGs repeats, the extension for instability on transmission is limited. The number of AGGs are significant predictors of instability and thus screening for AGG identifies alleles at greater risk for full mutation expansion. 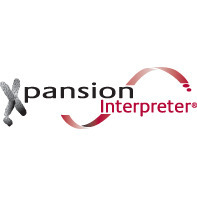 XPANSION INTERPRETER®, a technology developed by Asuragen, is a powerful new tool to assess AGG interruptions.